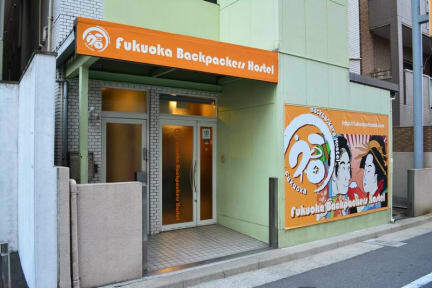 Fukuoka Backpackers Hostel is located in 14minute away from Hakata Station Chikushi Exit, enabling you easy accessible to the central of Fukuoka city. In the hostel, guests are offered with rooms equipped with air conditioner. Shared bathrooms running hot water for 24 hours, Shampoo, body soap, and hair dryer are provided free of charge, which makes your stay more convenient. Free wifi covers every floor and room. The cozy lounge on the 3rd floor which has kitchen space, TV room and two computers free for guest use, making your accommodation more enjoyable. Free Luggage Keeping 08:00 to 20:00 + Arrangements can be made for early check-out and late check-in. Inform us in advance is preferable. * 50% CHARGE 50% of room fare shall be charged if you inform us 1 day prior to the accommodation date. * 100% CHARGE 100% of room fare shall be charged if your cancellation date is on the accommodation day. **For group booking more than 8 people, the special cancellation policy is applied. 100% of whole stay will be charged if your cancellation / Booking Arrangement date is within 2 weeks before your arrival date for cancellation fee. +Time is based on Reception business hour, 08:00 to 21:00 in Japan Standard Time. Guests who fail to check in on the first day of their reservation without notice will be charged as a NO SHOW and their reservation will be charged according to our cancellation policy. * DEPOSIT The 12% deposit for any booking is non-refundable and non-replaceable in case of cancellation and booking arrangement. If you would like to change your booking date, please inform us your amendment detail via E-mail in your earliest convenience, at latest 2 days in advance. Because of the fact that we basically arrange your booking in accordance with our cancellation policy. Please provide us the reference number which you wish to amend. * PAYMENT UPON ARRIVAL Please complete your payment by Japanese YEN. * CASH PAYMENT We do not basically accept credit cards/debit cards, thus make sure to exchange some currency into Japanese YEN at the airport. We are afraid that we are unable accommodate children under 15 years of age in our hostel. reservations will be charged according to our cancellation policy. Great facility and staff. Roommates were cool aside from one rude older Korean man who got drunk and woke us up in the middle of the night. Thankfully the staff immediately found out and evacuated us to another room. I was very satisfied with the hostel overall - very friendly, helpful staff with very clean facilities! This was my second time at this hostel. It's a good location if you need to be at Fukuoka Airport the next day. I only stayed for one night, but it seemed like your basic get-what-you-pay-for hostel. VERY comfortable beds!!!! Nice big kitchen where you can cook and hair dryers available too. Staff seemed nice. You can rent a towel for 50 yen! 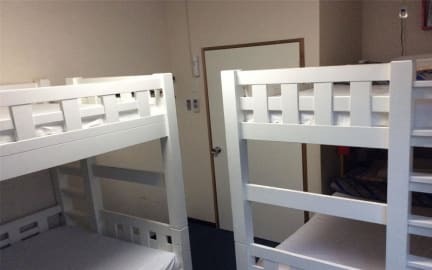 This was the cheapest hostel I could find in Fukuoka at around ¥2000/night, so I wasn’t expecting much. However, this was a nice surprise. The beds are so comfy (really nice thick mattresses, I think they are memory foam as well as the pillows), clean new bedding. The rooms have heating and air conditioning. The shower rooms are clean although they only had them on 1st and 3rd floor, so I had to go up the stairs to use it. Common room is really nice with TV and sofas, free tea and coffee. Beds and pillows a little hard, but grea locatio, very helpful staff. Water pressure in showers was good, as was the hot water supply. LATE CHECKINS: Respond to confirmation e-mail or theyll use it as an excuse if something goes awry.They DONT have change on site during late nights.You have to pay in exact amount or else walk to the konbini to make change.Both made checking in a COMPLETE pain after a tiring day.I also accidentally book on wrong date and was initially told that I'd have to Pay 2 nights or be turned away if there was no room.Partially understood, but would've had to sleep on streets. Pls fix late checkin process. Ownership appears to have transferred to some weird anti-social types who put up big signs and chains in the common room and kitchen prohibiting use after midnight. Of course, that doesn't mean you can eat in your room after that time. So basically if you're hungry after midnight their policy is "that's fine, there's no rule against suffering". End of an era I guess. Hope the original Khaosan owners are doing well. If you're looking to stay close to the airport then it's great but I wouldn't recommend as a spot in the city. Small and unable to access the kitchen before 8am. Helpful staff! !